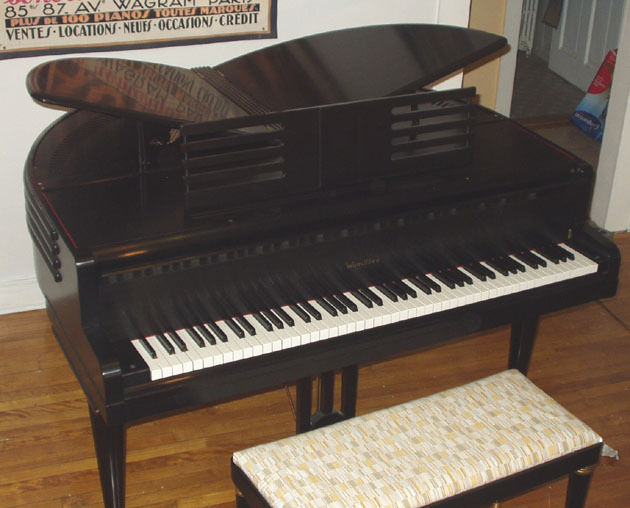 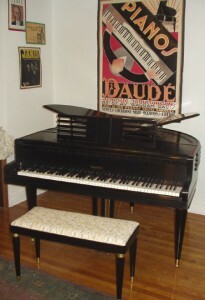 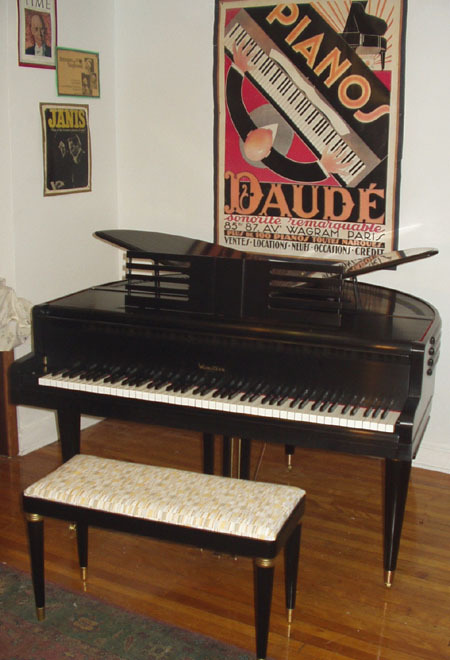 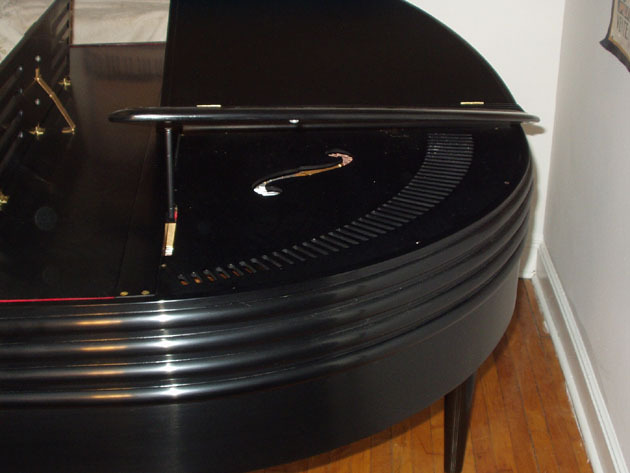 This piano is the height of Art Deco , a 4’2″ baby grand that has been completely rebuilt and immaculately refinished. 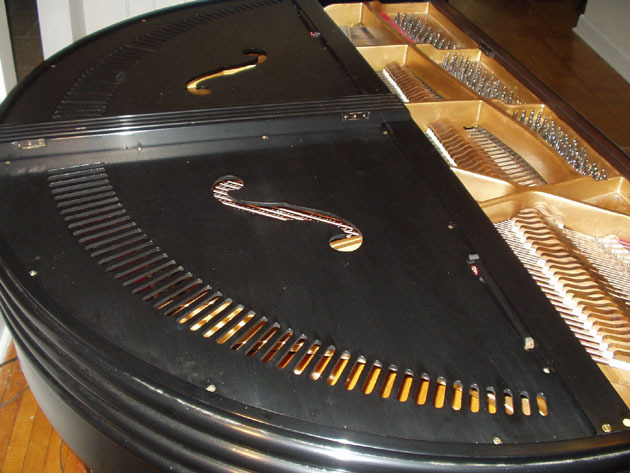 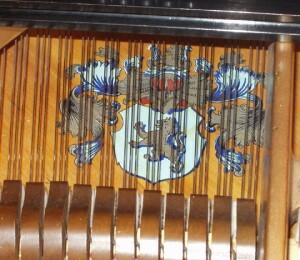 It makes a total statement of period style , and in addition, is actually a working instrument , thanks to the major overhaul that I have just done on it . 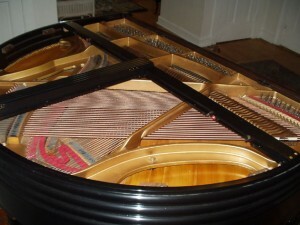 I have replaced the pinblock , repaired and refinished the soundboard and restrung it . All the keys have been replaced with immaculate brand new plastic [they were old and faded] and I had hammers custom -made for the miniaturized action . Everything really works , and the piano sounds like a piano ! 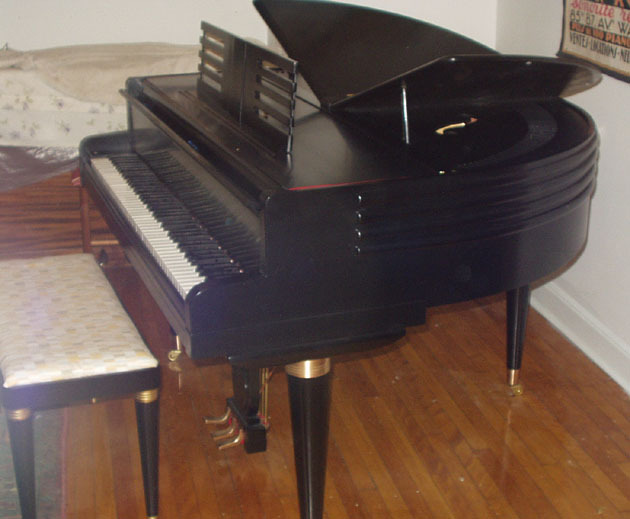 The case and matching bench have been redone in ebony hand-rubbed satin lacquer by Chulo’s Piano Refinishing and are absolutely gorgeous . 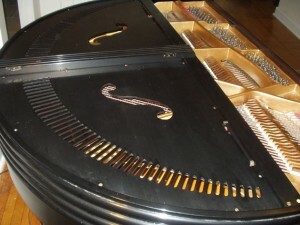 The price for this unique instrument is $16,500.